Whether this is your first race or you’re a seasoned race goer, the more prepared and organised you are, the smoother race day will be. 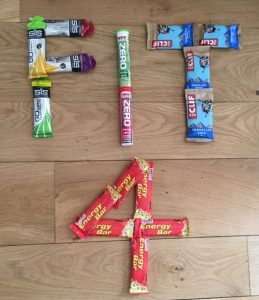 Here at Fit-4 Physio we’ve put together a little guide to help you achieve your best on race day. Don’t let missing kit ruin your race. Pack these race day essentials the night before. Here’s an idea of what your kit bag should look like. This is not exhaustive but a good guide to get you started and cover most areas. If your bag is packed the night before it’s one less thing to worry about on the morning of race, leaving you (hopefully) stress free. 3. not to drink too much. 5. Start to get prepared mentally. For some this is spending time with fellow runners, others are happier on their own or listening to music. 6. Plan ahead where your friends and family are going to be spectating. Seeing a familiar face on the course can give you the well needed lift to keep you going. 8. Get to the start in plenty of time. Once you’ve dropped your kit bag off, pop a bin liner or old t-shirt over you to keep warm before the start. You can throw them away just before the start. 9. Keep prepare mentally – remind yourself how much training and preparation you’ve done for this day. If you’re raising money, focus on the charity and cause you are running for. 10. Once the gun goes, soak up the atmosphere but make sure you stay in control. Stick to your pace and don’t be tempted to speed up too quickly at the beginning. 11. Stick to your energy and hydration strategy as practiced in training. Don’t let yourself get thirsty or run low on energy by keeping on top of drinks and snacks as you go. 12. Enjoy the crowd, this may be your first race with crowds and spectators so let yourself feel like an Olympian as you get cheered along. 13. Set yourself small manageable goals, ticking off the miles and keeping the pace even. 14. As you approach the finish line, it’s almost time to celebrate. Get ready to smile for that photo as you cross the finishing line. 15. Once over the line, it’s time to get warm, get your goody bag and consume whatever freebies are in there! Rehydrate, refuel and keep moving. A huge well done! Remember if the going gets tough how well you have trained, the reason you are running the race and your race strategy. You ARE ready. The race is just another long run (just with lots of other people). 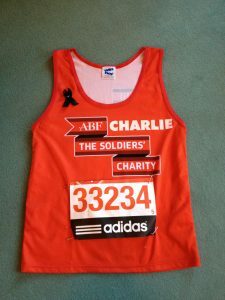 Are you worried about a niggle before the race day and not sure if you should run? Maybe you’re worried you might make things worse? Or perhaps you need someone to put your mind at rest? Give Rich or Charlie a call and get yourself checked out before race day. Email charlotte@fit4-physio.co.uk or call 07939 680320.